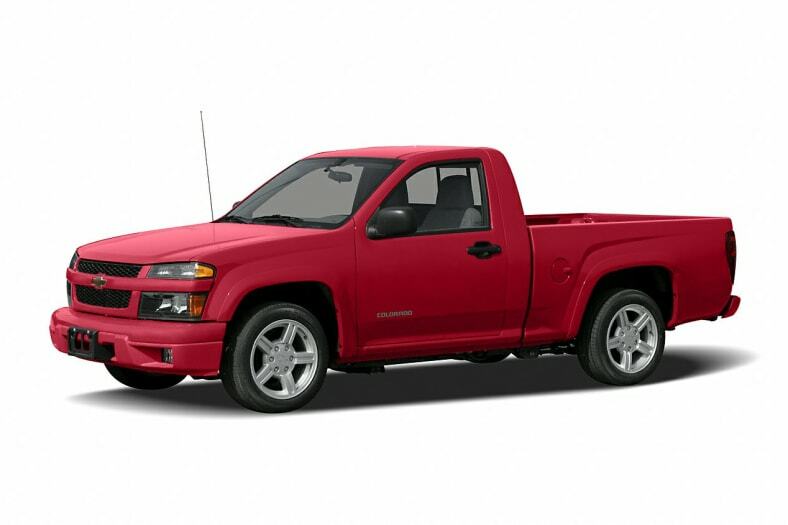 The Chevrolet Colorado was among the first of a new generation of larger compact pickups when it was introduced as a 2004 model and all but Ford followed quickly on its heals. In fact, we don't even call them compact pickups anymore. Now they're called midsize pickups. Colorado was designed to offer improved comfort and maybe replace the family sedan in the process. Colorado favors roominess, ride comfort and fuel efficiency over traditional truck virtues such as payload and towing capacity. That's a strong selling point because compact trucks are increasingly bought as alternatives to cars, and their owners want more hip room, leg room and head room. Most are willing to sacrifice bed length for cab room. Sales of Regular Cab trucks, which typically offered the longest beds, are way down (although Colorado is one of the few to still offer this variation). The Extended Cab has largely replaced the Regular Cab as the truck for serious haulers, many of whom like being able to stash gear, tools, luggage, or groceries behind the seats. Crew Cabs are exploding in popularity because they offer the convenience of a comfortable back seat for family and friends. Their short bed lengths are an acceptable compromise for many buyers. But don't get us wrong: The Colorado isn't a car with a bed. In fact, the Colorado provides all the trucking capacity most owners will ever use. It has a six-foot bed with Regular and Extended Cabs, and a five-foot bed on Crew Cabs. A properly equipped Colorado is rated to tow 4,000 pounds, enough for transporting ATVs, dirt bikes, personal watercraft, bass boats, and small camping trailers. In most configurations, the Colorado can carry more weight in the bed than the old S10 could. So it'll get the job done. On the whole, we think the trade-offs have paid off. Colorado rides smoothly and feels refined. Order the five-cylinder engine and it accelerates smartly. (That's right: five-cylinder.) The Crew Cab features a roomy back seat that's surprisingly comfortable and not bolt-upright. Yet the Colorado fits into tight parking spaces, something that can't be said of full-size pickups. Like all the trucks in this category, the Colorado is substantially smaller and more maneuverable than full-size pickups such as the Dodge Ram or Chevy Silverado. And Colorado offers something its competitors have forgotten, and that's a utilitarian Regular Cab work truck. In fact, about a hundred permutations are available, giving buyers lots of choices to fit their needs. The number of trim levels has been expanded for 2006, although little else is actually new. The cloth upholstery for the new high-level LT model has been upgraded, and a new option package that combines the sunroof with a six-disc CD changer is available.